January 3, 1777 - A second victory for Washington as his troops defeat the British at Princeton and drive them back toward New Brunswick. Washington then establishes winter quarters at Morristown, New Jersey. During the harsh winter, Washington's army shrinks to about a thousand men as enlistments expire and deserters flee the hardships. By spring, with the arrival of recruits, Washington will have 9000 men. March 12, 1777 - The Continental Congress returns to Philadelphia from Baltimore after Washington's successes against the British in New Jersey. April 27, 1777 - American troops under Benedict Arnold defeat the British at Ridgefield, Connecticut. 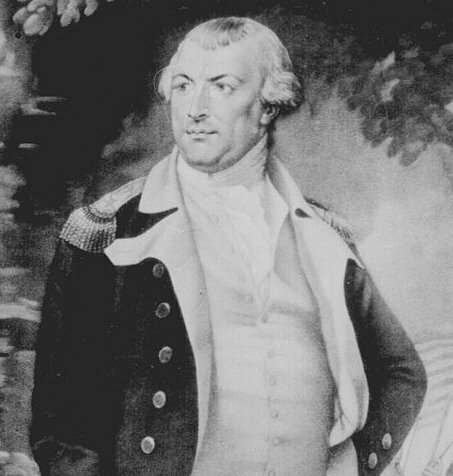 June 17, 1777 - A British force of 7700 men under Gen. John Burgoyne invades from Canada, sailing down Lake Champlain toward Albany, planning to link up with Gen. Howe who will come north from New York City, thus cutting off New England from the rest of the colonies. July 6, 1777 - Gen. Burgoyne's troops stun the Americans with the capture of Fort Ticonderoga on Lake Champlain. Its military supplies are greatly needed by Washington's forces. The loss of the fort is a tremendous blow to American morale. July 23, 1777 - British Gen. Howe, with 15,000 men, sets sail from New York for Chesapeake Bay to capture Philadelphia, instead of sailing north to meet up with Gen. Burgoyne. July 27, 1777 - Marquis de Lafayette, a 19 year old French aristocrat, arrives in Philadelphia and volunteers to serve without pay. Congress appoints him as a major general in the Continental Army. 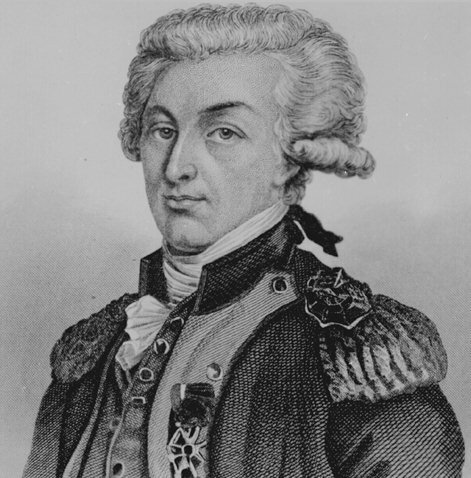 Lafayette will become one of Gen. Washington's most trusted aides. August 16, 1777 - In the Battle of Bennington, militiamen from Vermont, aided by Massachusetts troops, wipe out a detachment of 800 German Hessians sent by Gen. Burgoyne to seize horses. August 25, 1777 - British Gen. Howe disembarks at Chesapeake Bay with his troops. September 9-11, 1777 - In the Battle of Brandywine Creek, Gen. Washington and the main American Army of 10,500 men are driven back toward Philadelphia by Gen. Howe's British troops. Both sides suffer heavy losses. Congress then leaves Philadelphia and resettles in Lancaster, Pennsylvania. September 26, 1777 - British forces under Gen. Howe occupy Philadelphia. Congress then relocates to York, Pennsylvania. October 7, 1777 - The Battle of Saratoga results in the first major American victory of the Revolutionary War as Gen. Horatio Gates and Gen. Benedict Arnold defeat Gen. Burgoyne, inflicting 600 British casualties. American losses are only 150. 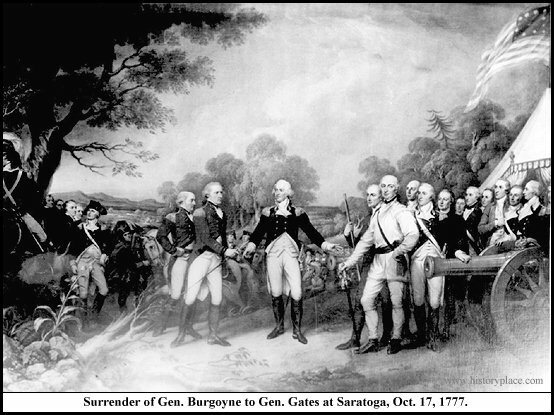 October 17, 1777 - Gen. Burgoyne and his entire army of 5700 men surrender to the Americans led by Gen. Gates. The British are then marched to Boston, placed on ships and sent back to England after swearing not serve again in the war against America. News of the American victory at Saratoga soon travels to Europe and boosts support of the American cause. In Paris the victory is celebrated as if it had been a French victory. Ben Franklin is received by the French Royal Court. France then recognizes the independence of America. November 15, 1777 - Congress adopts the Articles of Confederation as the government of the new United States of America, pending ratification by the individual states. Under the Articles, Congress is the sole authority of the new national government. December 17, 1777 - At Valley Forge in Pennsylvania, the Continental Army led by Washington sets up winter quarters. 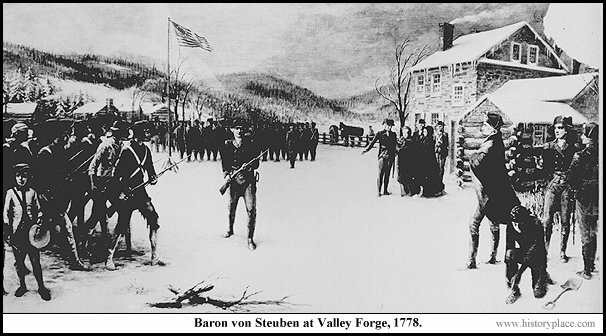 February 23, 1778 - Baron von Steuben of Prussia arrives at Valley Forge to join the Continental Army. He then begins much needed training and drilling of Washington's troops, now suffering from poor morale resulting from cold, hunger, disease, low supplies and desertions over the long, harsh winter. March 16, 1778 - A Peace Commission is created by the British Parliament to negotiate with the Americans. The commission then travels to Philadelphia where its offers granting all of the American demands, except independence, are rejected by Congress. May 8, 1778 - British General Henry Clinton replaces Gen. Howe as commander of all British forces in the American colonies. May 30, 1778 - A campaign of terror against American frontier settlements, instigated by the British, begins as 300 Iroquois Indians burn Cobleskill, New York. June 18, 1778 - Fearing a blockade by French ships, British Gen. Clinton withdraws his troops from Philadelphia and marches across New Jersey toward New York City. Americans then re-occupy Philadelphia. June 19, 1778 - Washington sends troops from Valley Forge to intercept Gen. Clinton. June 27/28, 1778 - The Battle of Monmouth occurs in New Jersey as Washington's troops and Gen. Clinton's troops fight to a standoff. On hearing that American Gen. Charles Lee had ordered a retreat, Gen. Washington becomes furious. Gen. Clinton then continues on toward New York. July 2, 1778 - Congress returns once again to Philadelphia. July 3, 1778 - British Loyalists and Indians massacre American settlers in the Wyoming Valley of northern Pennsylvania. July 8, 1778 - Gen. Washington sets up headquarters at West Point, New York. July 10, 1778 - France declares war against Britain. August 8, 1778 - American land forces and French ships attempt to conduct a combined siege against Newport, Rhode Island. But bad weather and delays of the land troops result in failure. The weather-damaged French fleet then sails to Boston for repairs. 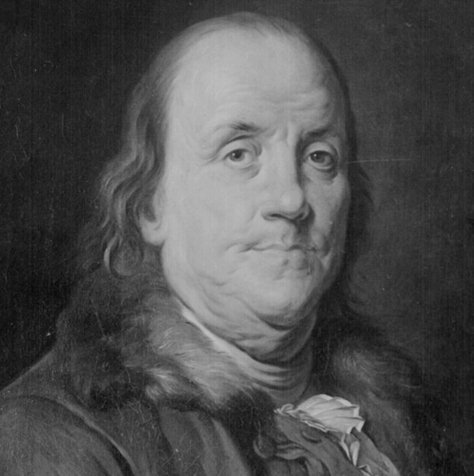 September 14, 1778 - Ben Franklin is appointed to be the American diplomatic representative in France. November 11, 1778 - At Cherry Valley, New York, Loyalists and Indians massacre over 40 American settlers. December 29, 1778 - The British begin a major southern campaign with the capture of Savannah, Georgia, followed a month later with the capture of Augusta. April 1-30, 1779 - In retaliation for Indian raids on colonial settlements, American troops from North Carolina and Virginia attack Chickamauga Indian villages in Tennessee. May 10, 1779 - British troops burn Portsmouth and Norfolk, Virginia. June 1, 1779 - British Gen. Clinton takes 6000 men up the Hudson toward West Point. June 16, 1779 - Spain declares war on England, but does not make an alliance with the American revolutionary forces. July 5-11, 1779 - Loyalists raid coastal towns in Connecticut, burning Fairfield, Norwalk and ships in New Haven harbor. July 10, 1779 - Naval ships from Massachusetts are destroyed by the British while attempting to take the Loyalist stronghold of Castine, Maine. August 14, 1779 - A peace plan is approved by Congress which stipulates independence, complete British evacuation of America and free navigation on the Mississippi River. August 29, 1779 - American forces defeat the combined Indian and Loyalist forces at Elmira, New York. Following the victory, American troops head northwest and destroy nearly 40 Cayuga and Seneca Indian villages in retaliation for the campaign of terror against American settlers. 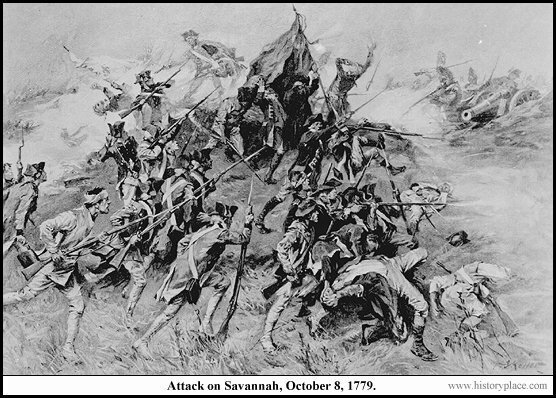 Sept. 3 - Oct. 28 - Americans suffer a major defeat while attacking the British at Savannah, Georgia. 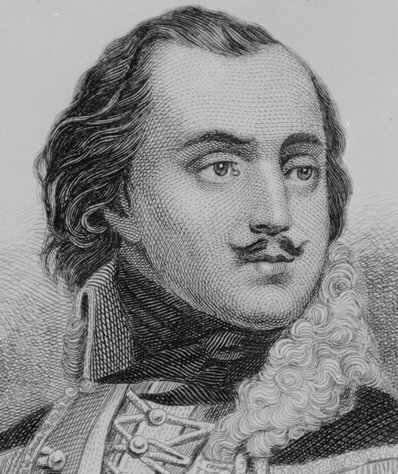 Among the 800 American and Allied casualties is Count Casimir Pulaski of Poland. British losses are only 140. September 23, 1779 - Off the coast of England, John Paul Jones fights a desperate battle with a British frigate. When the British demand his surrender, Jones responds, "I have not yet begun to fight!" Jones then captures the frigate before his own ship sinks. 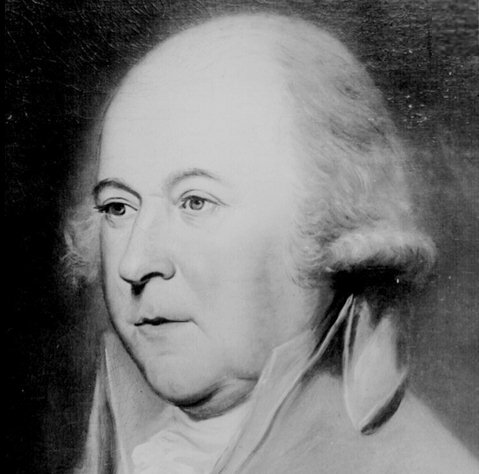 September 27, 1779 - John Adams is appointed by Congress to negotiate peace with England. October 17, 1779 - Washington sets up winter quarters at Morristown, New Jersey, where his troops will suffer another harsh winter without desperately needed supplies, resulting in low morale, desertions and attempts at mutiny. December 26, 1779 - British Gen. Clinton sets sail from New York with 8000 men and heads for Charleston, South Carolina, arriving there on Feb. 1. April 8, 1780 - The British attack begins against Charleston as warships sail past the cannons of Fort Moultrie and enter Charleston harbor. Washington sends reinforcements. 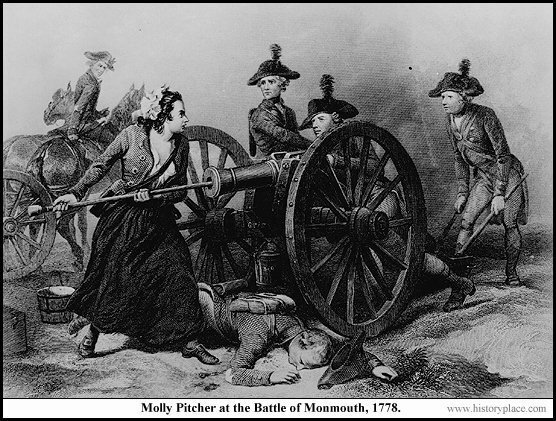 May 6, 1780 - The British capture Fort Moultrie at Charleston, South Carolina. May 12, 1780 - The worst American defeat of the Revolutionary War occurs as the British capture Charleston and its 5400-man garrison (the entire southern American Army) along with four ships and a military arsenal. British losses are only 225. May 25, 1780 - After a severe winter, Gen. Washington faces a serious threat of mutiny at his winter camp in Morristown, New Jersey. Two Continental regiments conduct an armed march through the camp and demand immediate payment of salary (overdue by 5 months) and full rations. Troops from Pennsylvania put down the rebellion. Two leaders of the protest are then hanged. June 11, 1780 - A new Massachusetts constitution is endorsed asserting "all men are born free and equal," which includes black slaves. 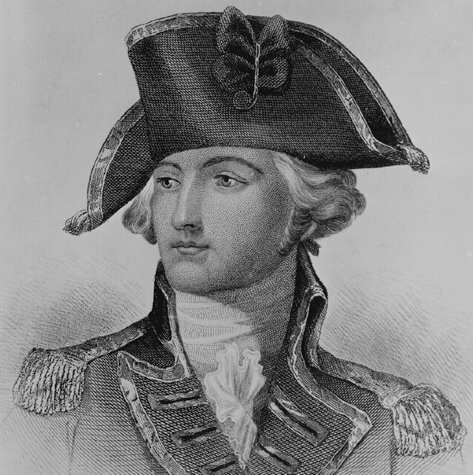 June 13, 1780 - Gen. Horatio Gates is commissioned by Congress to command the Southern Army. June 23, 1780 - American forces defeat the British in the Battle of Springfield, New Jersey. July 11, 1780 - 6000 French soldiers under Count de Rochambeau arrive at Newport, Rhode Island. They will remain there for nearly a year, blockaded by the British fleet. 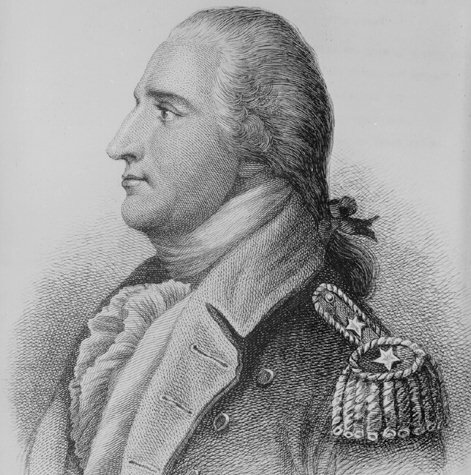 August 3, 1780 - Benedict Arnold is appointed commander of West Point. Unknown to the Americans, he has been secretly collaborating with British Gen. Clinton since May of 1779 by supplying information on Gen. Washington's tactics. August 16, 1780 - A big defeat for the Americans in South Carolina as forces under Gen. Gates are defeated by troops of Gen. Charles Cornwallis, resulting in 900 Americans killed and 1000 captured. August 18, 1780 - An American defeat at Fishing Creek, South Carolina, opens a route for Gen Cornwallis to invade North Carolina. 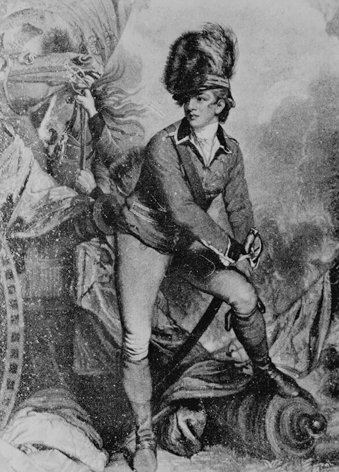 September 23, 1780 - A British major in civilian clothing is captured near Tarrytown, New York. 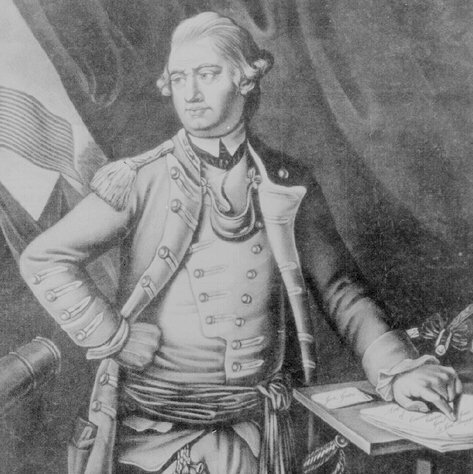 He is found to be carrying plans indicating Benedict Arnold intends to turn traitor and surrender West Point. Two days later, Arnold hears of the spy's capture and flees West Point to the British ship Vulture on the Hudson. He is later named a brigadier general in the British Army and will fight the Americans. October 7, 1780 - Gen. Cornwallis abandons his invasion of North Carolina after Americans capture his reinforcements, a Loyalist force of 1000 men. October 14, 1780 - Gen. Nathanael Greene, Washington's most able and trusted General, is named as the new commander of the Southern Army, replacing Gen. Gates. Greene then begins a strategy of rallying popular support and wearing down the British by leading Gen. Cornwallis on a six month chase through the back woods of South Carolina into North Carolina into Virginia then back into North Carolina. The British, low on supplies, are forced to steal from any Americans they encounter, thus enraging them. January 3, 1781 - Mutiny among Americans in New Jersey as troops from Pennsylvania set up camp near Princeton and choose their own representatives to negotiate with state officials back in Pennsylvania. The crisis is eventually resolved through negotiations, but over half of the mutineers abandon the army. January 17, 1781 - An American victory at Cowpens, South Carolina, as Gen. Daniel Morgan defeats British Gen. Tarleton. January 20, 1781 - Mutiny among American troops at Pompton, New Jersey. The rebellion is put down seven days later by a 600-man force sent by Gen. Washington. Two of the leaders are then hanged. March 15, 1781 - Forces under Gen. Cornwallis suffer heavy losses in the Battle of Guilford Courthouse in North Carolina. 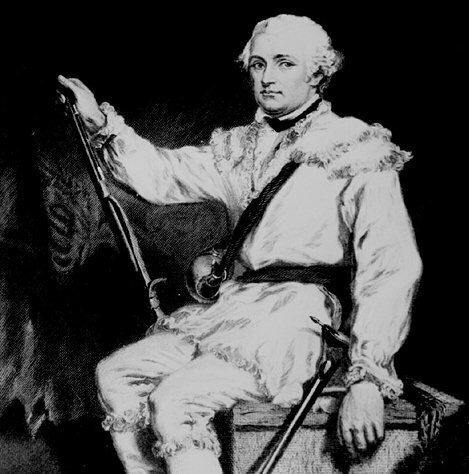 As a result, Cornwallis abandons plans to conquer the Carolinas and retreats to Wilmington, then begins a campaign to conquer Virginia with an army of 7500 men. May 21, 1781 - Gen. Washington and French Gen. Rochambeau meet in Connecticut for a war council. 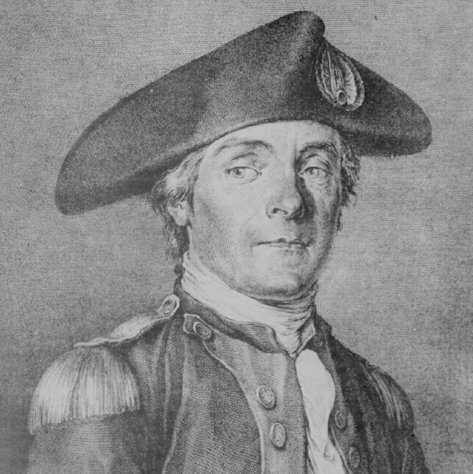 Gen Rochambeau reluctantly agrees to Washington's plan for a joint French naval and American ground attack on New York. 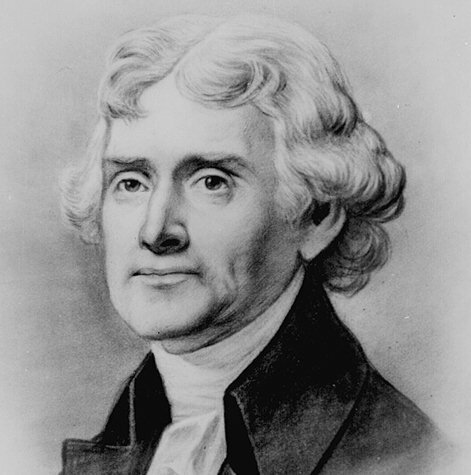 June 4, 1781 - Thomas Jefferson narrowly escapes capture by the British at Charlottesville, Virginia. June 10, 1781 - American troops under Marquis de Lafayette, Gen. Anthony Wayne and Baron von Steuben begin to form a combined force in Virginia to oppose British forces under Benedict Arnold and Gen. Cornwallis. June 11, 1781 - Congress appoints a Peace Commission comprised of Benjamin Franklin, Thomas Jefferson, John Jay and Henry Laurens. The commission supplements John Adams as the sole negotiator with the British. July 20, 1781 - Slaves in Williamsburg, Virginia, rebel and burn several buildings. August 1, 1781 - After several months of chasing Gen. Greene's army without much success, Gen. Cornwallis and his 10,000 tired soldiers arrive to seek rest at the small port of Yorktown, Virginia, on the Chesapeake Bay. He then establishes a base to communicate by sea with Gen. Clinton's forces in New York. August 14, 1781 - Gen. Washington abruptly changes plans and abandons the attack on New York in favor of Yorktown after receiving a letter from French Admiral Count de Grasse indicating his entire 29-ship French fleet with 3000 soldiers is now heading for the Chesapeake Bay near Cornwallis. Gen. Washington then coordinates with Gen. Rochambeau to rush their best troops south to Virginia to destroy the British position in Yorktown. 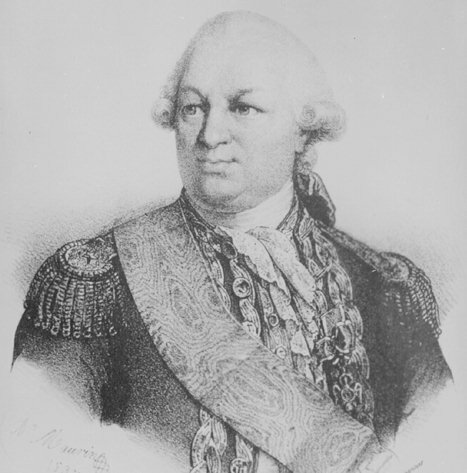 August 30, 1781 - Count de Grasse's French fleet arrives off Yorktown, Virginia. De Grasse then lands troops near Yorktown, linking with Lafayette's American troops to cut Cornwallis off from any retreat by land. September 1, 1781 - The troops of Washington and Rochambeau arrive at Philadelphia. September 5-8, 1781 - Off Yorktown, a major naval battle between the French fleet of de Grasse and the outnumbered British fleet of Adm. Thomas Graves results in a victory for de Grasse. The British fleet retreats to New York for reinforcements, leaving the French fleet in control of the Chesapeake. 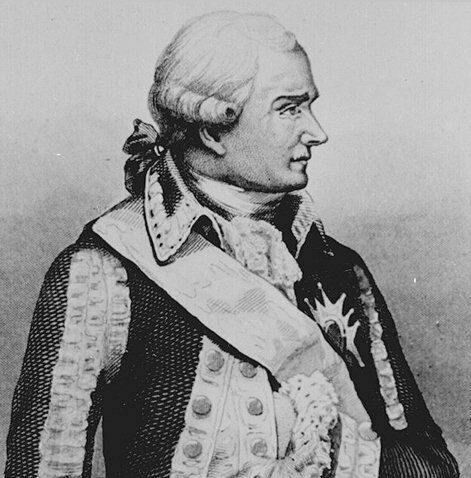 The French fleet establishes a blockade, cutting Cornwallis off from any retreat by sea. French naval reinforcements then arrive from Newport. September 6, 1781 - Benedict Arnold's troops loot and burn the port of New London, Connecticut. September 14-24, 1781 - De Grasse sends his ships up the Chesapeake Bay to transport the armies of Washington and Rochambeau to Yorktown. September 28, 1781 - Gen. Washington, with a combined Allied army of 17,000 men, begins the siege of Yorktown. French cannons bombard Gen. Cornwallis and his 9000 men day and night while the Allied lines slowly advance and encircle them. British supplies run dangerously low. October 19, 1781 - As their band plays the tune, "The world turned upside down," the British army marches out in formation and surrenders at Yorktown. Hopes for a British victory in the war against America are dashed. In the English Parliament, there will soon be calls to bring this long costly war to an end. October 24, 1781 - 7000 British reinforcements under Gen. Clinton arrive at Chesapeake Bay but turn back on hearing of the surrender at Yorktown. January 1, 1782 - Loyalists begin leaving America, heading north to Nova Scotia and New Brunswick. January 5, 1782 - The British withdraw from North Carolina. February 27, 1782 - In England, the House of Commons votes against further war in America. March 5, 1782 - The British Parliament empowers the King to negotiate peace with the United States. March 7, 1782 - American militiamen massacre 96 Delaware Indians in Ohio in retaliation for Indian raids conducted by other tribes. 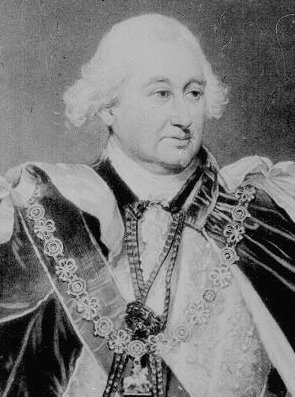 March 20, 1782 - British Prime Minister, Lord North, resigns, succeeded two days later by Lord Rockingham who seeks immediate negotiations with the American peace commissioners. 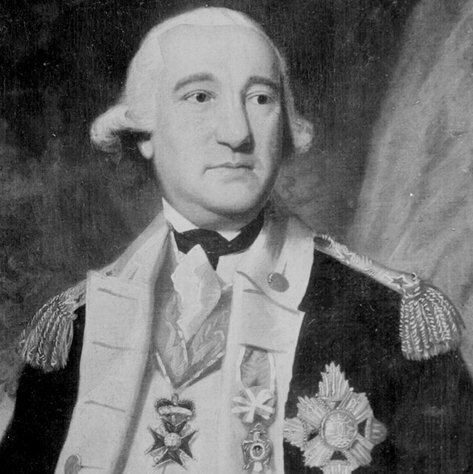 April 4, 1782 - Sir Guy Carleton becomes the new commander of British forces in America, replacing Gen. Clinton. Carleton will implement the new British policy of ending hostilities and withdraw British troops from America. April 12, 1782 - Peace talks begin in Paris between Ben Franklin and Richard Oswald of Britain. April 16, 1782 - Gen. Washington establishes American army headquarters at Newburgh, New York. April 19, 1782 - The Dutch recognize the United States of America as a result of negotiations conducted in the Netherlands by John Adams. June 11, 1782 - The British evacuate Savannah, Georgia. June 20, 1782 - Congress adopts the Great Seal of the United States of America. August 19, 1782 - Loyalist and Indian forces attack and defeat American settlers near Lexington, Kentucky. August 25, 1782 - Mohawk Indian Chief Joseph Brant conducts raids on settlements in Pennsylvania and Kentucky. August 27, 1782 - The last fighting of the Revolutionary War between Americans and British occurs with a skirmish in South Carolina along the Combahee River. November 10, 1782 - The final battle of the Revolutionary War occurs as Americans retaliate against Loyalist and Indian forces by attacking a Shawnee Indian village in the Ohio territory. November 30, 1782 - A preliminary peace treaty is signed in Paris. Terms include recognition of American independence and the boundaries of the United States, along with British withdrawal from America. December 14, 1782 - The British evacuate Charleston, South Carolina. December 15, 1782 - In France, strong objections are expressed by the French over the signing of the peace treaty in Paris without America first consulting them. Ben Franklin then soothes their anger with a diplomatic response and prevents a falling out between France and America. January 20, 1783 - England signs a preliminary peace treaty with France and Spain. February 3, 1783 - Spain recognizes the United States of America, followed later by Sweden, Denmark and Russia. February 4, 1783 - England officially declares an end to hostilities in America. March 10, 1783 - An anonymous letter circulates among Washington's senior officers camped at Newburgh, New York. The letter calls for an unauthorized meeting and urges the officers to defy the authority of the new U.S. national government (Congress) for its failure to honor past promises to the Continental Army. The next day, Gen. Washington forbids the unauthorized meeting and instead suggests a regular meeting to be held on March 15. A second anonymous letter then appears and is circulated. This letter falsely claims Washington himself sympathizes with the rebellious officers. April 11, 1783 - Congress officially declares an end to the Revolutionary War. April 26, 1783 - 7000 Loyalists set sail from New York for Canada, bringing a total of 100,000 Loyalists who have now fled America. June 13, 1783 - The main part of the Continental Army disbands. June 24, 1783 - To avoid protests from angry and unpaid war veterans, Congress leaves Philadelphia and relocates to Princeton, New Jersey. July 8, 1783 - The Supreme Court of Massachusetts abolishes slavery in that state. September 3, 1783 - The Treaty of Paris is signed by the United States and Great Britain. Congress will ratify the treaty on January 14, 1784. October 7, 1783 - In Virginia, the House of Burgesses grants freedom to slaves who served in the Continental Army. November 2, 1783 - George Washington delivers his farewell address to his army. The next day, remaining troops are discharged. November 25, 1783 - Washington enters Manhattan as the last British troops leave. November 26, 1783 - Congress meets in Annapolis, Maryland. 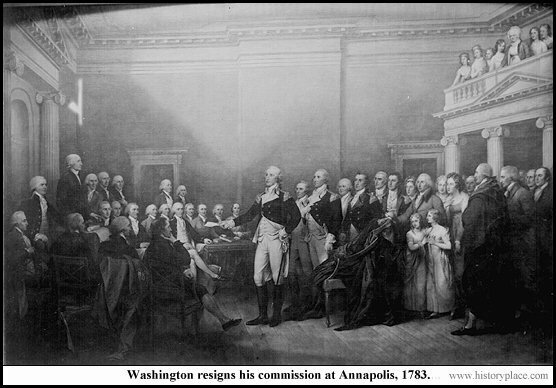 December 23, 1783 - Following a triumphant journey from New York to Annapolis, George Washington, victorious commander in chief of the American Revolutionary Army, appears before Congress and voluntarily resigns his commission, an event unprecedented in history.